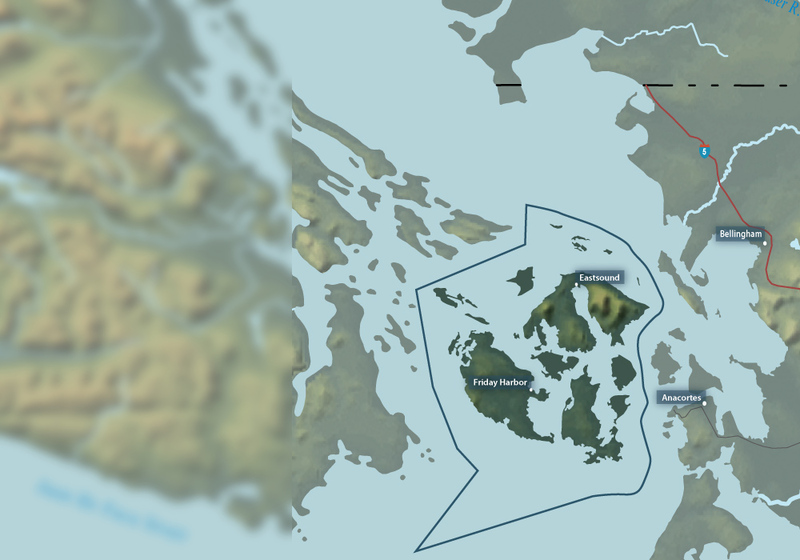 The San Juan Islands are located at the junction of the Strait of Juan de Fuca, Strait of Georgia and Puget Sound. 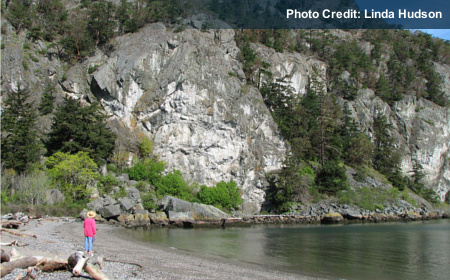 This archipelago's highly diverse marine ecosystem is home to multiple species of salmon, orcas, other marine mammals and seabirds. 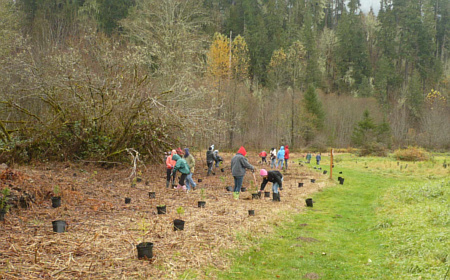 The San Juans provide over 400 miles of marine shoreline and many populations of Chinook and other species of salmon from many watersheds across the region and the state use the islands during their life cycles moving through the islands for migration and rearing. 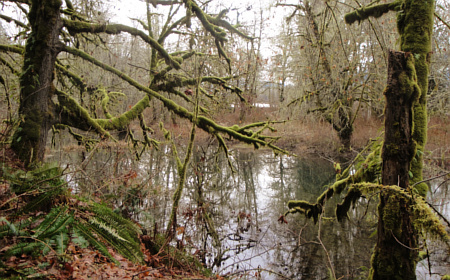 Salmon recovery funding purchased this site on Lopez Island to protect a bay where juvenile salmon congregate to feed and grow. 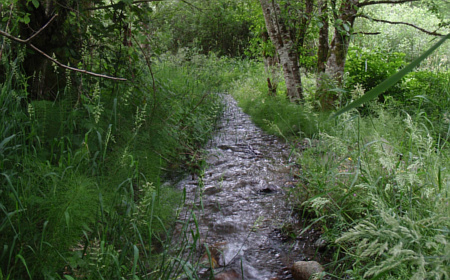 The site is permanently protected via the San Juan County Land Bank. 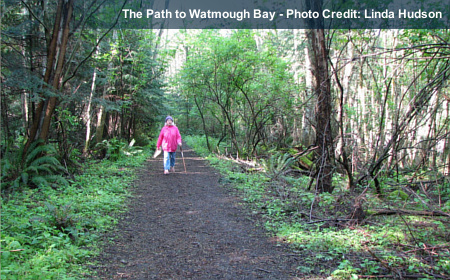 A level wooded trail will take you to the beach at Watmough Bay. 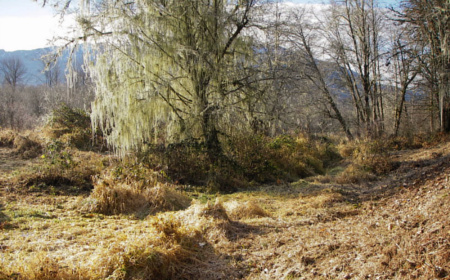 The Watmough Bay site is adjacent to Bureau of Land Management property which has additional trails available to explore. 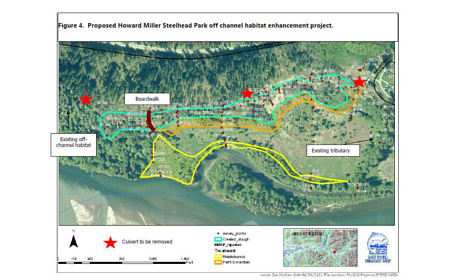 A trails map with additional information for the area is available (click photo above to download). 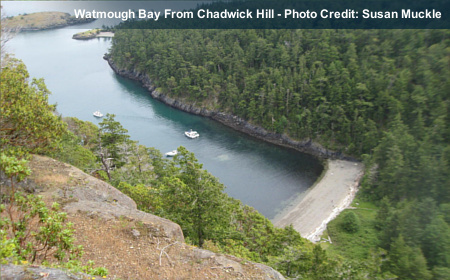 Your reward for hiking the Chadwick Hill trail is a scenic view of Watmough Bay. 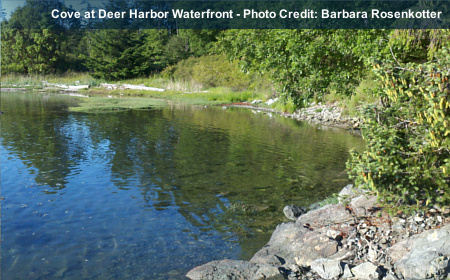 This restored beach provides habitat for forage fish to spawn and provides public beach access in the hamlet of Deer Harbor on Orcas Island. 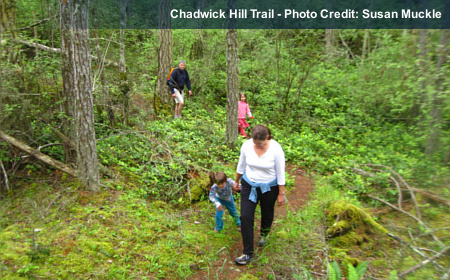 A trails map with additional information for the area is available (click photo to download). 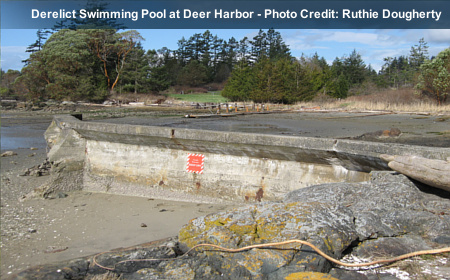 A derelict concrete pool (built in 1935) acted as an obstruction to the beach area for forage fish spawning and as a potential danger to people using the shoreline. Photos of the restoration are available (click photo to download). 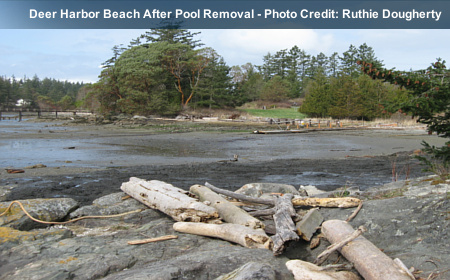 View of the beach at Deer Harbor once the derelict swimming pool was removed providing beach access and habitat that is now available for forage fish to spawn. 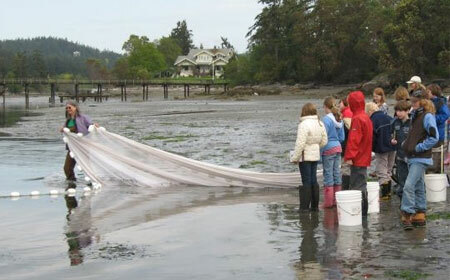 Students from Orcas Island Elementary School's 5th grade classes participate in beach seining and exploration of the tidelands at Deer Harbor Waterfront Preserve with the San Juan Nature Institute. 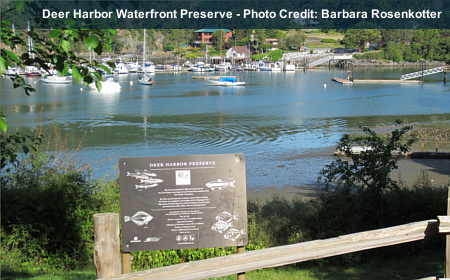 The Deer Harbor Waterfront Preserve is permanently protected via the San Juan County Land Bank.